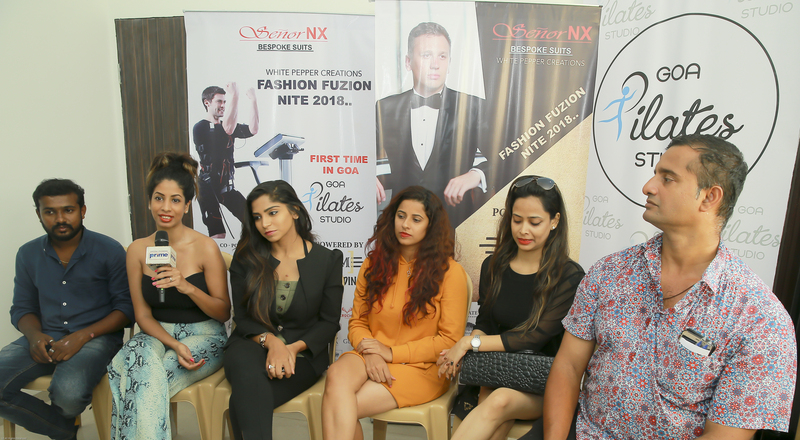 White pepper creations join hands with SENOR NX- “ Bespoke Suits , in Goa and innovative designers across the country in commemorating an amazing fashion show that highlights creativity, sustainability and philanthropy, will hold its season 02 show at 7 pm on Friday, November 16th at Reis – Magos Fort, Varem – Goa. Over 8 Designers will take to the stage for “Fashion Fusion Nite 2018” to showcase their designs in an effort to announce the Season for tourism and establish more exposure of the industry to the state. The event brings together of all skills, levels and ages who will display their talent in 6 categories: YOUTH, AMATEUR, PROFESSIONAL AND PROFESSIONAL COLLECTION. This inspiring evening of creativity, ingenuity and self-expression will be emceed by the most famous Merlyn D’Silva and will feature the established celebrity Show Stoppers and models walking on the ramp on the tunes and also on a live musical performance by as well. This Event is put together by Mr. Akhil Raju, Founder of White Pepper creations who is an esteemed photographer and has a history of organizing successful events for past years not only in Goa but also in other states as well. Mr. Basil Roshan, Tile Sponsor “SENOR NX” who is famous for their cuts and designs specialized for the wedding suits and gowns. Mr. Newton Dias, The Show Director is a renowned name in the industry for his remarkable work who has started his career as a Model by himself and now engulfed in finding talents, molding and crafting them to perfection. Kiran Chandra, founder of V4U Events and Entertainments — handling the entire stage setup in the most artistic touch. Sejal’s International Academy of Hair and Beauty, Pune will join with talented and certified makeup artists tirelessly in mastering the craft of beautifying all the models in meeting the expectation. Not a typical show. Fashion Fusion Nite 2018 is a fashion show with few ambitious goals, Founded in 2015, FFN wants to inspire people to get creative, to design, to be the change they want to see in the world. FFN showcases sustainability and support in hopes of challenging fashion status quo and show how rewarding and fun it is to be environmentally responsible. FFN believes that giving back opens up the world of possibilities and positive change leading to greater connection, compassion and the fulfillment of our personal, local and global potential.